After the almost total extinction of bighorn sheep in the state (once our most numerous big game animal), NBU has been instrumental in the reintroduction of all three subspecies of bighorn into more than 60 mountain ranges throughout Nevada. The old adage goes that “time flies when you’re having fun” well I must be having a lot of fun because here we are at the end of 2018 already. I look back on another great year for Nevada’s wildlife. NBU has completed seven water development projects starting in March with Sand Springs and ending the season in June at Sulphur Springs south of Carlin. These projects couldn’t be done without the help of the greatest volunteer force in the west. NBU’s Volunteers are the backbone of the operation and I personally want to thank each and every one of you. I would also like to thank all of our members, sponsors and donors for contributing their hard earned dollars for the betterment of our precious wild resources. In this edition of the journal we will outline just a few places where the sportsman’s dollars have been spent through the year. Just to highlight a few NBU has contributed $150,000 to the statewide fire rehabilitation fund, $60,000 to bighorn sheep translocation and $30,000 to heritage account for bighorn sheep disease monitoring and radio collars, all this just in the last quarter of this year. Keep in mind just with the three mentioned contributions that equates to about $720,000 for Nevada’s wildlife after the three to one match from the Pittman Robertson federal funding. Look for the article on PR funding in this issue of journal for further explanation on how the Pittman Robertson Act is so beneficial to our wildlife resource. 2019 is shaping up to be another great year for NBU and Nevada’s wildlife, with bighorn sheep translocations on the horizon and another guzzler season that is fast approaching there should be plenty to do for volunteers next year. Let’s not forget that NBU’s 39th annual banquet April 5th 2019 will be here before we know it. Ticket sales will be underway starting in December and I’m looking forward to another record breaking fund raising event and seeing all the great likeminded sportsman & women coming together for the same cause, and a great night of fun & excitement. Make sure to keep an eye out for all the upcoming projects on our website, social media and email. With the holiday season upon us we should all take minute to look back on the year and give thanks for that we have. I hope everyone’s hunting, fishing and Nevada outdoors experiences have been great this year, filled with wonderful memories made with family and friends. You can help NBU increase and enhance wildlife in Nevada by purchasing one of their specialty license plates through the Nevada DMV. No need to spend hours standing in line, you can make a DMV appointment online today! If you purchase a license plate, NBU will send you a $50 Scheel’s Gift Card. This internship program is designed to provide those graduating high school seniors or current college or university students that have a sincere interest in pursuing a career in wildlife management an opportunity to earn funds to help support his/her college education. Selected interns will become paid seasonal employees of the Nevada Department of Wildlife (NDOW). They will receive ‘on-the-job’ training to provide them with practical knowledge and experience to enhance their college studies and future career. Two conservation organizations raise funds to underwrite the salary and operating expenses for the Lathrop-Capurro Memorial Scholarship Program. Nevada Bighorns Unlimited (NBU) underwrites a portion of this internship program which is co-named in honor of one of their founding members – James Lathrop. Additional funding support is provided by the Nevada Wildlife Record Book and is also named in memoriam for one of their founding members – Wayne Capurro. Both men made outstanding contributions to wildlife management through their roles as hunters, volunteers, organizers and advisors to the Department, the Nevada Board of wildlife Commissioners and the many wildlife-oriented organizations that mutually support the sustained health of Nevada’s wildlife resource. NBU is proud to partner with NB Ewes, the Women of NBU, to offer new or gently used outdoor apparel/gear to youth in need. “Maison’s Closet” will be giving away jackets, pants, boots, optics and many other items at Mark Fore & Strike in Reno on August 4, 2018. The 2018 project season is rapidly approaching and we need your help! From fencing projects to new guzzler builds, NBU is planning a busy spring and summer with at least 6 different projects. For more information as to what is planned, please click “More Information” below. The Coalition for Nevada’s Wildlife is holding a fundraising dinner on February 10th at Pinocchio’s Bar & Grill. The Coalition is a strong voice and respected advocate for sportsmen and conservationists and this event is their main source of revenue. In addition to a wonderful dinner prepared by J.P. Pinocchio, there will be prize raffles and a small auction. The United States Air Force is considering withdrawing over 300,000 acres of public land – including a large portion of the Desert National Wildlife Refuge – which would have a negative impact on wildlife and their habitat. As part of the public scoping period, NBU has submitted a formal letter for the record outlining some concerns regarding this proposal. NBU has submitted formal comments for the record pertaining to the Fallon Range Traning Complex Modernization (FRTC). FRTC proposes to expand the Fallon Naval Air Station’s operating area which would result in the withdrawal more than 605,000 acres of public land. 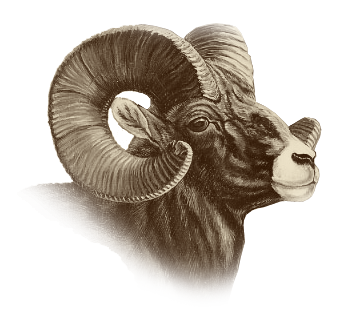 Nevada Bighorns Unlimited (NBU) is a non-profit 501(c)(3) grass roots sportsmen’s conservation organization with over 3,500 members throughout Nevada, the western United States and North America. The mission of the organization is to protect and enhance Nevada’s wildlife resources for sportsmen, outdoor and wildlife enthusiasts for this and future generations. NBU volunteers do this through the reintroduction of big game, habitat conservation and improvement, public education and participation, biological and scientific research, and the influence of public policy. NBU has raised millions of dollars and logged thousands of volunteer hours in support of Nevada’s wildlife. Check out our latest projects and guzzlers on YouTube.